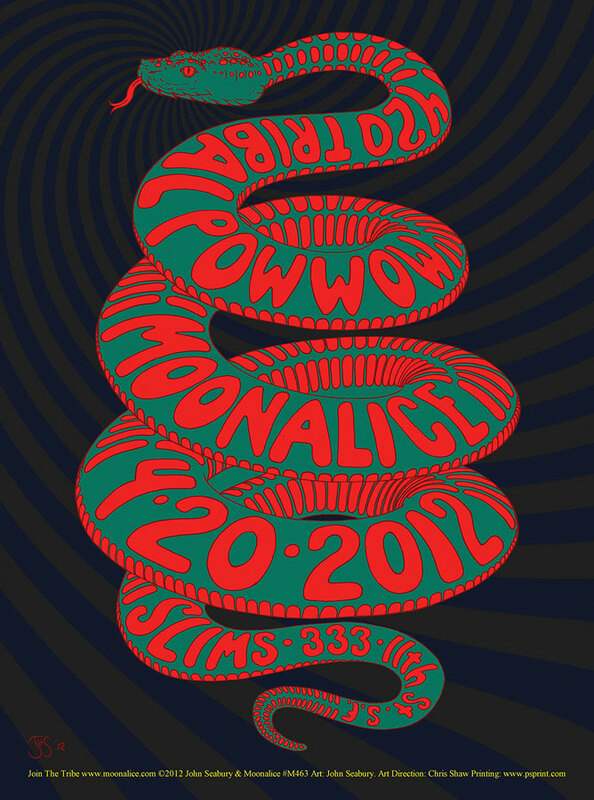 Rock poster fans in the Bay Area will want to make note that Moonalice is hosting their annual 420 Tribal Pow-Wow this Saturday at Slim’s in San Francisco! 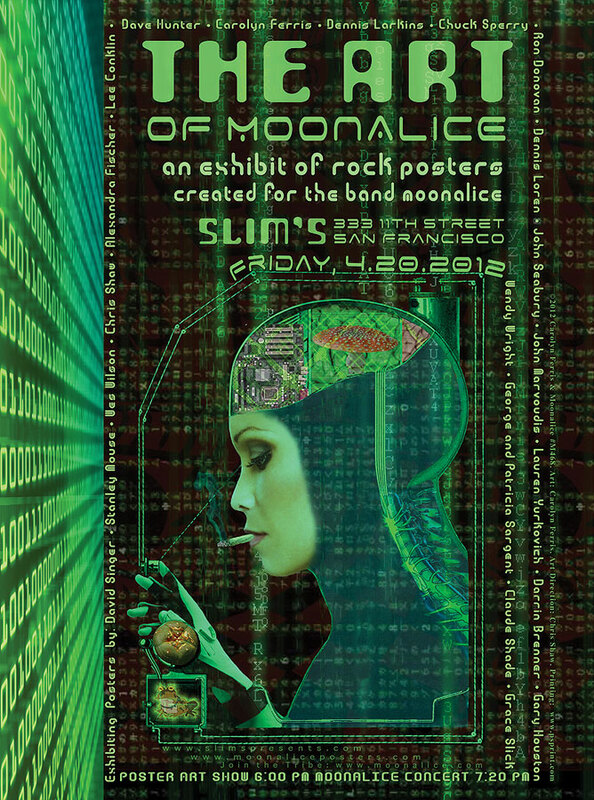 Moonalice always makes their April 20 shows very special, and this year is no exception. 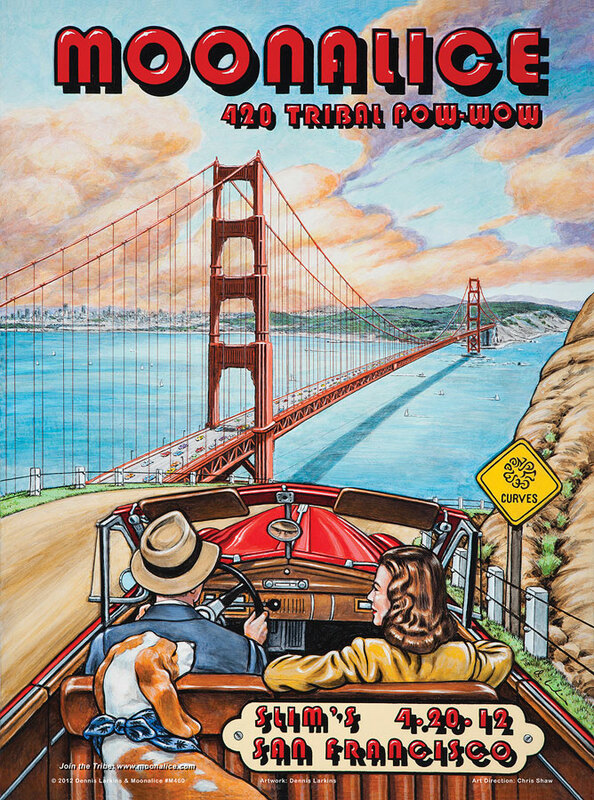 Everyone who attends will be treated to a free packet of posters, totaling 15 in all, by artists Wendy Wright, Car­olyn Fer­ris, Dar­rin Bren­ner, John Mavroudis, David Singer, Den­nis Loren, Den­nis Larkins, Dave Hunter, Lau­ren Yurkovich, John Seabury, Stan­ley Mouse, Lee Con­klin, Ron Dono­van, Wes Wil­son, & Alexan­dra Fis­cher! 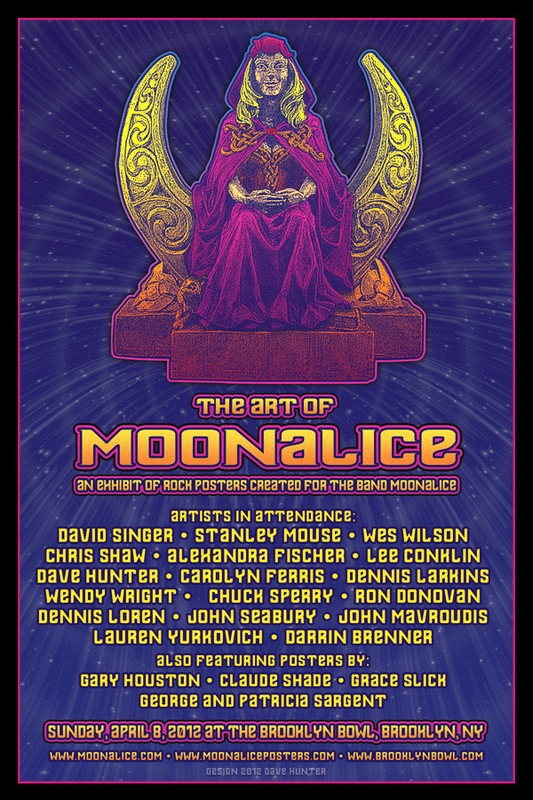 This year’s Moonalice Tribal Pow-Wow also serves as a benefit for Sweet Relief where all proceeds from the show will go to help Jim King get a surgery he desperately needs. 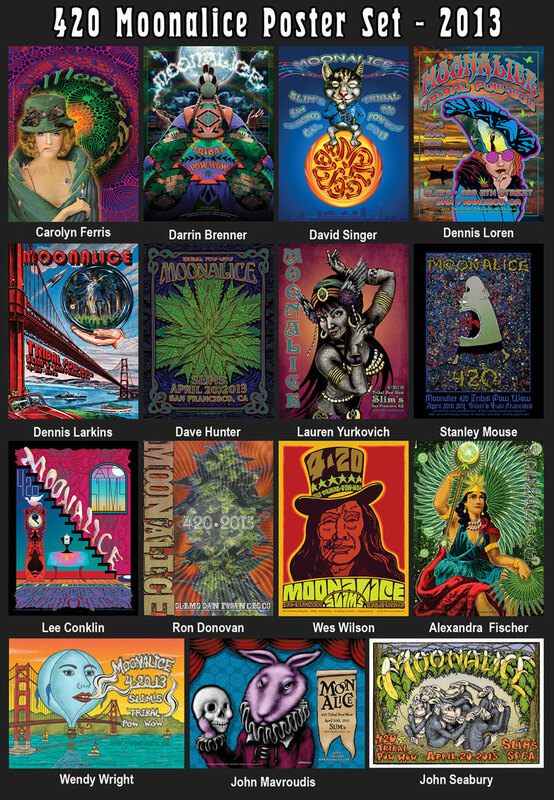 In addition to ticket sales, priced at $4.20, a silent auction is also being held with many cool items including rock posters! 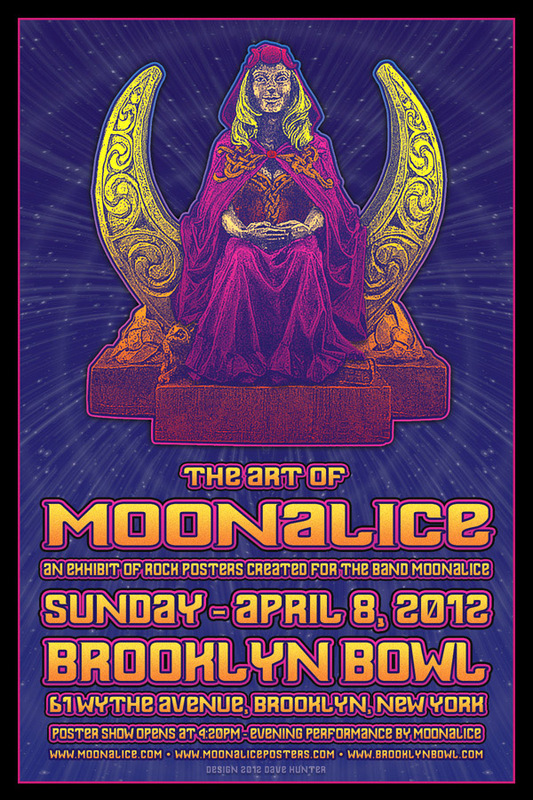 More information on the items and event at Moonalice.com & MoonalicePosters.com or Buy Tickets now. A huge THANK YOU to everyone who came out and supported Rock Art By The Bay at The Cannery this year. It was great to see so many artists and fans together! For those that could not attend this free event, enjoy these photos from the event. Photo credits include: Loretta Baraona, Nick Cernak, Ken Fisch, & Ron Schaffer.